As a research student in our Centre, you'll become part of a diverse and supportive community that plays an active role in the intellectual and social life of the University. Our extensive training and development opportunities will allow you to develop your skills and enhance your employability, and the extensive programme of research student activites will help you to get the most out of your time with us. With many groups, events, and other initiatives to choose from, you'll have the chance to meet research staff and students from across the University, exchange ideas, and gain new perspectives on your own research. The Faculty of Arts, Humanities and Cultures has its own Graduate School, which offers work spaces, interdisciplinary research, networking and support groups, and more. The Leeds Arts and Humanities Research Institute supports research that falls within a broad definition of the arts and humanities. It coordinates various interdisciplinary research groups within the Faculty of Arts, Humanities and Cultures, and hosts a programme of talks, lectures, and events. 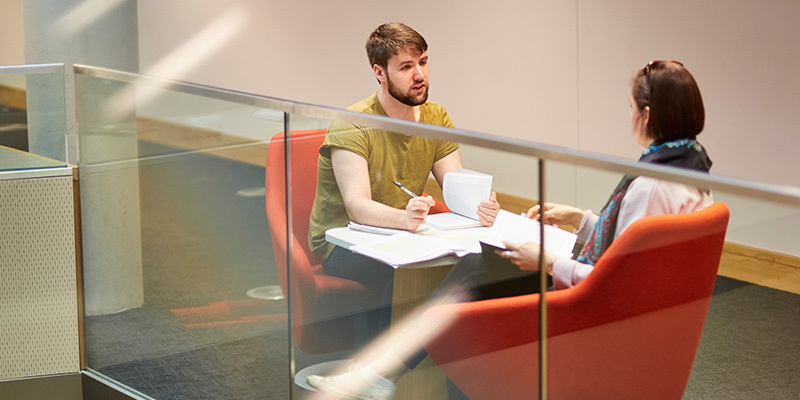 Leeds Doctoral College brings together research students from across the University, helps to coordinate the many postgraduate initiatives on campus, and runs events like Research Nights and the Leeds Doctoral College Showcase. At Leeds University Union there are many ways to get involved in the University's postgraduate community. They offer postgraduate social events, specialist support and advice, and opportunities to make your voice heard as a student representative.